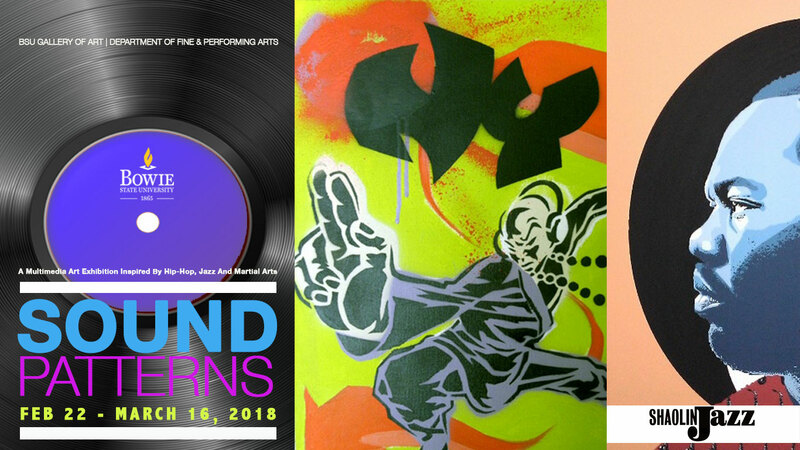 The Department of Fine and Performing Arts will be presenting its Black History month exhibition 2018, SOUND PATTERNS from February 22 through March 16, 2018. An artist talk and reception is scheduled for Thursday March 1st from 6 to 8 PM. The Gallery of Art will collaborate with the Gerald Watson and DJ 2Tone Jones of the Shaolin Jazz project. 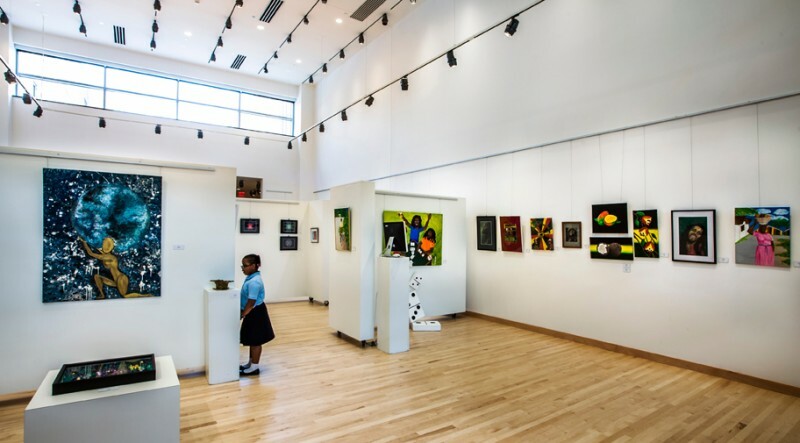 The Galleries of Art, Bowie State University have now relocated to the newly constructed Fine and Performing Arts Center (FPAC), 2nd Floor. This new space will be the home of our permanent BSU Collection as well as for traveling exhibitions, programming and research/conservation. We invite you to visit and take a tour of our facility as we look forward to a great season of visual arts at Bowie State University.